-Art with Princess and Ninja. 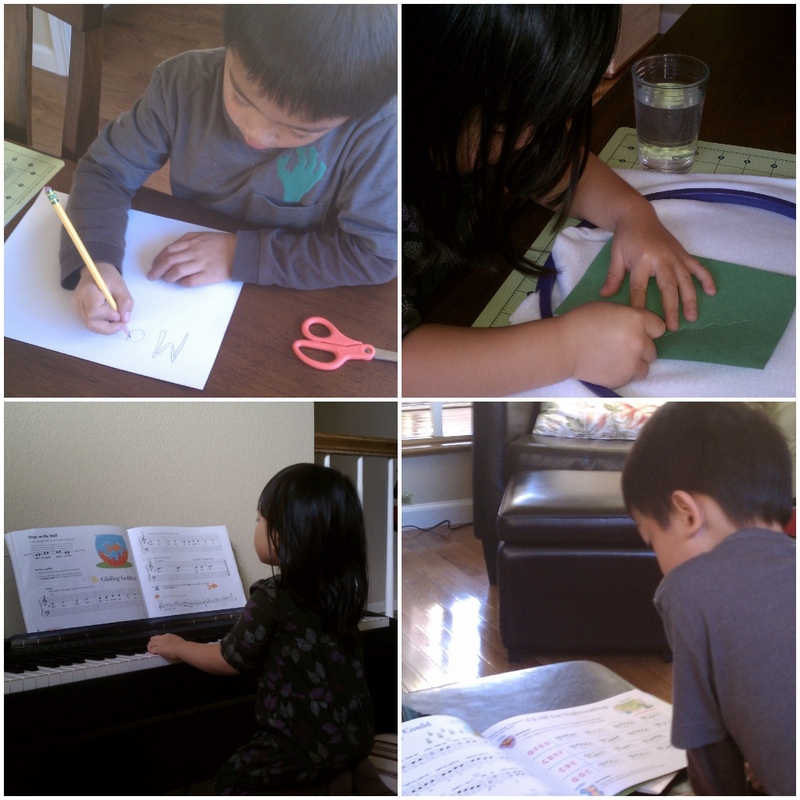 -Piano lessons, singing and piano homework. -Answering 100 questions about Santa.